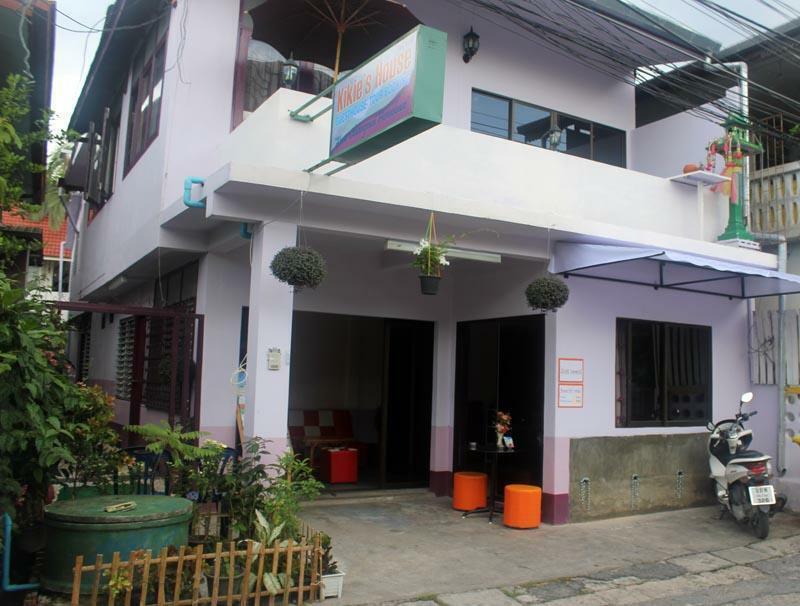 Kikies House is a brand new Hostel/Guesthouse in Chiang Mai with seven clean and beautiful rooms. Four awesome, spacious private rooms with a comfy, king-size bed and three dorm rooms (max. 5 people per dorm). Every room features a private bathroom with a hot shower. Do not miss our rooftop area - the perfect place to chill out and meet new people. Free and fast WiFi plus the best tour information in town! Located right in the Old City, Kikies House is close to many attractions like Wat Chiang Man, Sunday Market, good restaurants, places with good music, etc. Despite our central location we are in a quiet Soi with little traffic. If you arrive at an unusual time (late at night/early in the morning) please contact us, you could find our contact details on the booking confirmation. Address: Kikies House,17/1 Rachapakinai Rd, Soi 1,Sripoom, Muang, Chiang Mai, Thailand.